FreelyWheely: Bathroom mirror with cupboard and shelf. 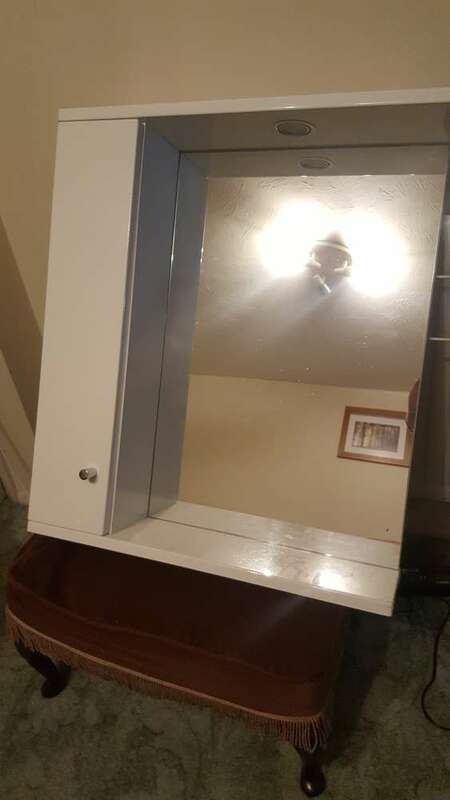 Bathroom mirror with cupboard and shelf. Hi - I have a large bathroom mirror with an in built small cupboard and light (the light has not been working since I moved in - but guessing that the bulb just needs changing as the wiring is intact). I have been doing over my bathroom and no longer need it. Dimensions are: 70cmH 61cmW 17cmD To note - it is relatively heavy, I'd say 10-15kg.